If you're in Chicago, take some time out for a drink. Koval, an organic distillery, makes their products from scratch using local ingredients. It is so protective of its carefully crafted spirits it only allows particular hotels, bars, and restaurants to carry its five whiskeys, two gins, and line of liqueurs. The Blackstone, for example, has its own barrel of Koval on site that contains a whiskey developed exclusively for the hotel. 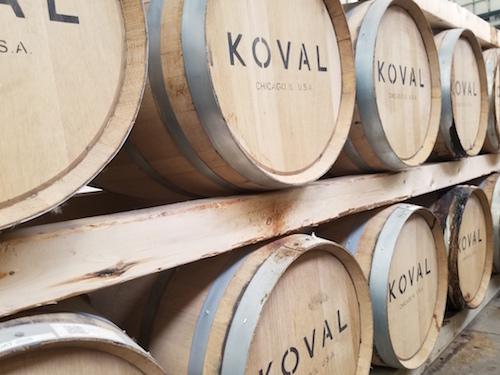 Koval is an eco-friendly distillery whose owners have had a political impact on the city—it helped to bring mandatory paid sick leave to Chicago’s workers. For a taste of the Blackstone’s exclusive whiskey, you’ll have to head to the hotel itself, but to sample Koval’s other offerings, take a ten-dollar tour offered Wednesday night and hourly throughout the weekend. Tip: Be sure to sample the millet whiskey—Koval is the only millet distiller in the US! Murf Reeves from Sainte Marie, New Orleans, LA was nice enough to share this delicious recipe using KOVAL's millet to get your weekend started.